Are you looking for a great selection of new cars for sale near Indianapolis? The only place you need to go is Acra Chrysler Dodge Ram Jeep in Greensburg IN. We have an outstanding selection of new cars for sale. We are proud to provide the Columbus, Franklin, Greensburg, Hope, Indianapolis, and Shelbyville areas with the best buying experience possible at Acra Chrysler Dodge Ram Jeep. Acra Chrysler Dodge Ram Jeep in Greensburg IN is here for all your automotive needs. We are here to guide you every step of the way. From helping you choose the right new car for sale that fits your lifestyle to financing your new car to servicing your new, you can count on Acra Chrysler Dodge Ram Jeep in Greensburg IN. We welcome you to view our online inventory of new cars for sale in Indiana that you can quickly search by make, model, and price. If you are in the area, see them in person at Acra Chrysler Dodge Ram Jeep in Greensburg IN. Are you looking for a new Dodge car for sale? Acra Chrysler Dodge Ram Jeep has several to choose from at our new car dealership in Greensburg IN. You will find everything from a new Dodge Dart Sedan for sale to a new Dodge Challenger Coupe for sale at Acra Chrysler Dodge Ram Jeep. If you are looking for economy, the Dodge Dart is always an excellent choice. One of the new Dodge Dart cars for sale at Acra Chrysler Dodge Ram Jeep is a new Dodge Dart SXT Sport for sale. This new Dodge Dart for sale has a peppy 2.0-liter 4 cylinder engine that gets an incredible gas mileage of 25 miles per gallon in the city and 36 miles per gallon on the highway. Convenience features such as power windows, power door locks, and cruise control can all be found on this stylish new Dodge Dart car for sale. Do you have the need for speed in your next vehicle? Check out the new Dodge Charger Daytona 340 car for sale at Acra Chrysler Dodge Ram Jeep. 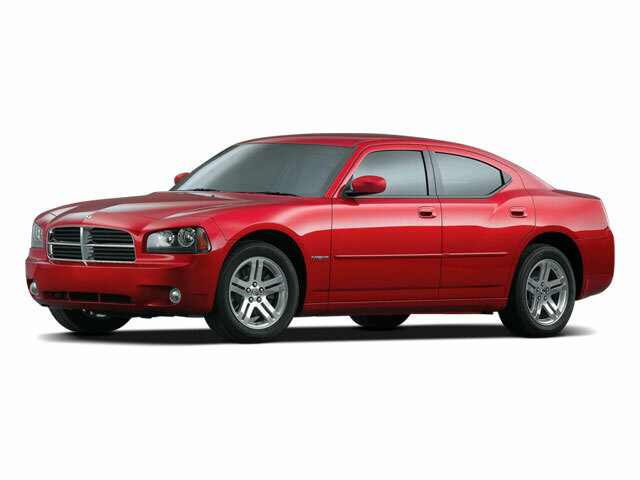 This new Dodge Charger is not only eye appealing with its octane red pearlcoat paint, but it is also fast! With its 5.7-liter 8 cylinder engine, this new Dodge Charger car for sale puts out an amazing 370 horsepower. 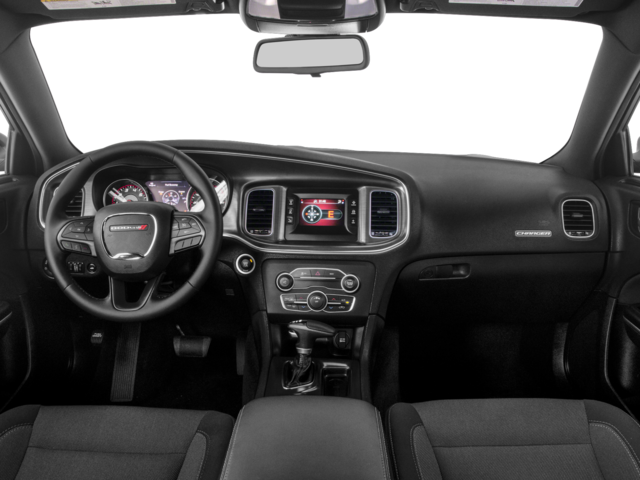 This sporty new Dodge Charger sedan for sale has key features that include heated driver and front passenger seats, a navigation system for when you are in unfamiliar territory, and Bluetooth cell phone hookup. Come out to Acra Chrysler Dodge Ram Jeep and test drive this new Dodge Charger for sale down the winding streets of Greensburg IN today. Are you looking to upgrade your current vehicle and use it as a trade at Acra Chrysler Dodge Ram Jeep? When it comes time to buy your next new car, it is always a very good idea to trade in your old vehicle. It is not just a way to not have to worry about selling your vehicle yourself; it can help lower your monthly payments. We take in all types of trades at Acra Chrysler Dodge Ram Jeep! Getting an estimate of what your current vehicle is worth makes it easier to plan for what kind of new car for sale you can afford, too. So, when you pick out your next new car for sale that is perfect for you, have your sales team professional get your vehicle appraised. Let us help you get one step closer to driving home in your next car from Acra Chrysler Dodge Ram Jeep today. So, if you are looking for a dealership that offers an excellent selection of new cars for sale in Indiana and deals that match, come to Acra Chrysler Dodge Ram Jeep in Greensburg IN. Whether you are looking for new cars for sale, new SUVs for sale, new minivans for sale, or new trucks for sale in Indiana, and we have what you want at Acra Chrysler Dodge Ram Jeep. Our friendly and knowledgeable Acra Chrysler Dodge Ram Jeep sales team members are happy to answer any questions you may have on our used cars for sale in Indiana. They will then take you out for a test drive to ensure that it fits your wants and needs, so you to make an informed decision on your next car at Acra Chrysler Dodge Ram Jeep. Don’t forget to check out our online inventory selection of new cars for sale. You can find Acra Chrysler Dodge Ram Jeep located at 1407 North Lincoln Street in Greensburg, IN 47240. If you are looking for something used, visit one of our other dealerships. Acra Pre-Owned Superstore is located at 2820 North National Road in Columbus, IN 47201 or 1200 East State Road 44 in Shelbyville, IN 46176; and Acra BuyRight is located at 920 North Michigan Avenue in Greensburg, IN 47240.